Since 2006, the McMaster University Library has supported the publication of faculty and student journals. In 2014, the Library decided to move this publication activity from a U.S.-based vendor to its own data centre. The migration to Open Journal Systems--a well known journal publication suite developed by the Public Knowledge Project with Canadian funding and now guided by Simon Fraser University--opens up many new possibilities for publishing journals that adapt as publication standards and practices evolve. It also ensures that the publications are based on a sustainable and scalable model that the Library can support decades into the future. McMaster University Library Press is a Crossref publisher. 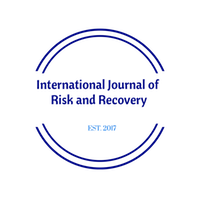 We mint and register a DOI for all articles published, assuring permanent, reliable linking for your journal.